Until recently chemotherapy and radiation have been considered the only game in town for someone to attempt to beat cancer. This, despite the fact that such treatments are poisons destroying the health of the immune system and its vital healing function while killing cancer cells – definitely counter-intuitive. 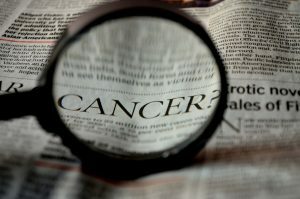 Fortunately, cancer patients have gained the medical seal of approval when it comes to using cannabis for symptom management of chemotherapy and radiation therapies. It reduces nausea and helps to slow down and/or prevent muscle-wasting syndrome, the cause of 20% of deaths in cancer patients, and is also used in palliative care. What I so appreciate about your writing style is how clear and succinct you are with presenting the area of interest in a way that is easily understood regardless of prior knowledge about physiology or cannabis. Excellent video to support this topic which is vitally important to share with more and more people who are looking for alternative ways of dealing with cancer. Education is always the first step in creating change from the ground up. WAY TO GO!